Chofan is an amazing rice dish that doesn’t always get enough shine despite it being a fan favorite. 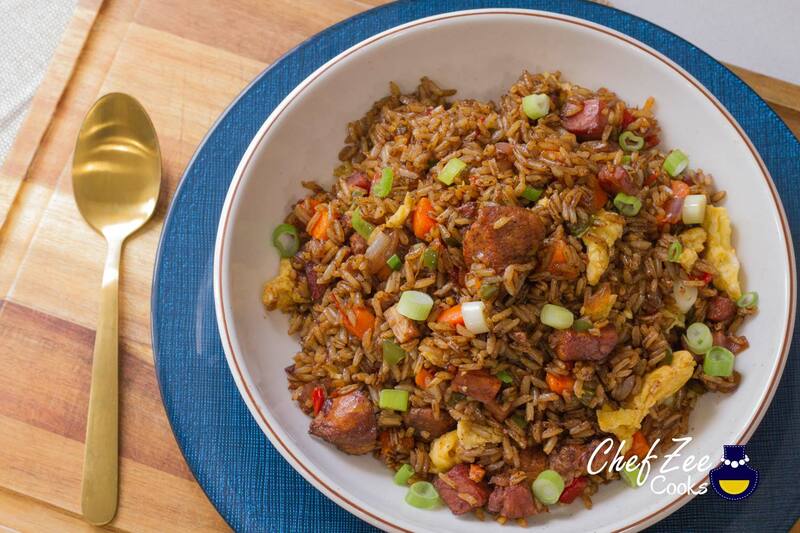 Chofan is a Dominican Style Chinese Fried Rice that’s bold on flavor and can honestly feed a village. You can make this dish from scratch or whip it together with leftovers from last night’s dinner. It’s honestly up to you. Bear in mind that Chinese Fried Rice is popular on its own so it doesn’t surprise me that other cultures have put their own spin on it. In fact, one of my favorite versions of Chofan is Peruvian Chaufa, which is also bold in flavor. I love it when it gets served with Peruvian hot peppers and I always end up asking for more! 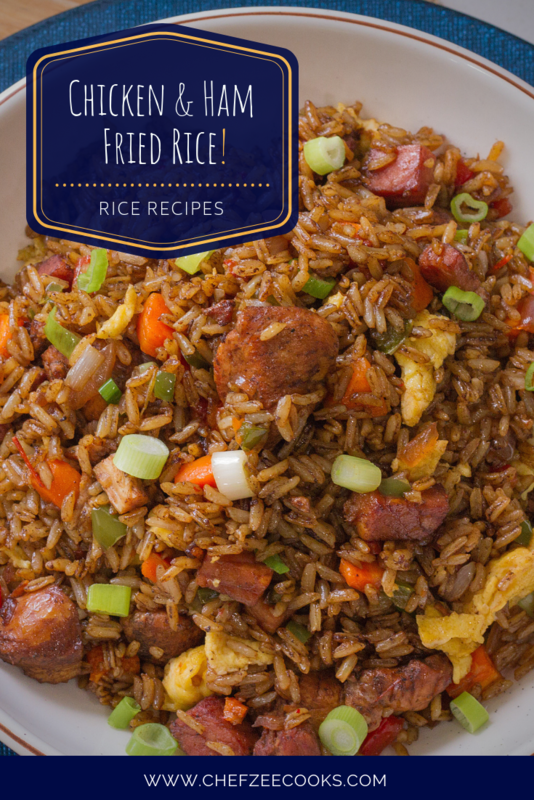 Tip #5: Feel free to stretch this dish out by adding more rice than what the recipe calls for. 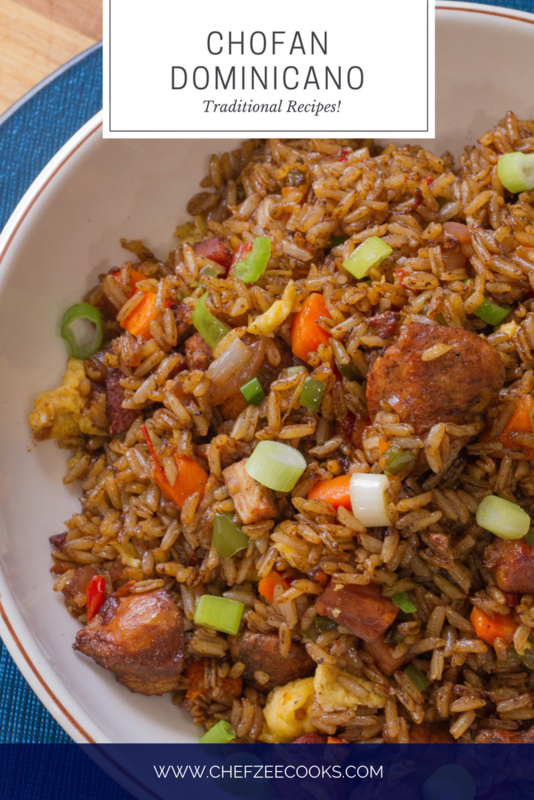 You can keep the amount of chicken and ham the same but add more rice so that it will feed more people. This will help you feed a village yet save on money! Make sure to Pin this yumminess to you Pinterest boards! Lastly, add scallions and serve while hot!